The parish Self-Assessment is designed to provide parishes with feedback that is helpful to parish leadership (pastor, staff and parish pastoral council, etc.) for future planning. • It sets the stage for engaging parishioners in the transforming work of parish growth and renewal through current and future parish ministries. • It provides a forum for deanery dialogue and planning designed to support each other as parishes plan for growth in vitality. 1. 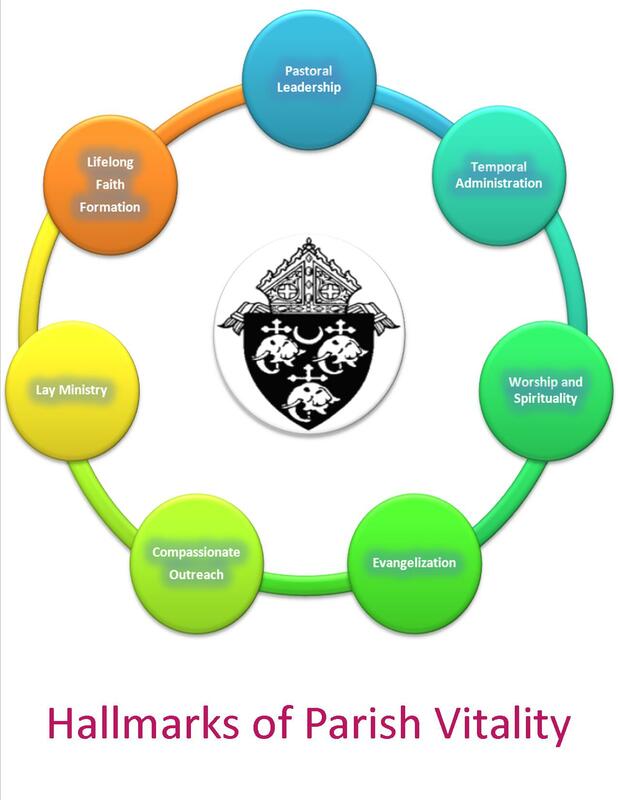 This toolkit is primarily designed for use of the Parish Leadership (see attached processes). 2. A second way is to invite a small diocesan team (coordinated by the Pastoral Planning Office) who could assist in the dialogue needed and validate the self-assessment. 3. Another way is to engage in a peer review, inviting some members from other parishes to assist in the dialogue needed to validate the self-assessment. 4. Once one of the above is conducted, a parish may want to involve parishioners in the process, either through random mailing or “in pew” copies with a collection process named. Toolkit #15 may be downloaded from http://harvesting.dev1-hw.org to the parish’s own website. This may be printed off and distributed. However, this way doesn’t tabulate responses or analyze them. Responses may be tabulated and analyzed by a free or low cost Online Survey Tool that may be used on the parish’s website. Some websites already have the capacity for conducting a survey.